Furthermore, what is the most update version of it? I would like to ask how to check the version of the firmware of 6230? 1)what's new in fw 4.44 compare to 4.43? 2)Music Player will only get music files from limited internal memory (? ), how to let it get from MMC folder? nokia 6230 HAS stereo !!! what is the price of nokia 6230 mobile? what kind tones are there and how many massages it can be saved is there picture massages how many? I mean both have stereo earphones. Sure they both have mono speakers. Take a glasses if think the K700 is made by plastick. one correction, i see comments like "k700 have stereo speakers" which is truly wrong. k700 is a good phone but has no stereo speaker nor does 6230. The only thing they have stereo is the sound comin' out of the earphones not speakers. Thx. Hi Francesco, what i can say about earphones for 6230 and e398 (they both have stereo output by earphones) will be limited and the reason is; e398 has a very good sound quality in earphones, too. You can raise the volume of the earphone by using some programs (which is set to 1 in phone software) to 8, and same for ringtone, video and system sounds. It's set to 1 originally and even that is enough to give high sound output for e398. I listened nokia ,too, but i didn't check if there are also software programs for nokia that you can hack into the phone and play with its original settings. If so, you might get better output than what you can get now from earphones.Thx. - mono speaker, not mp3 message alert tone, poor battery life, small memory (41mb)"
Why have the 6230 external memory support for what reason ?? To listen average MP3 and poor video's ?? What is so importend to MP3 as SMS tone?? Very strange what you have said. If you want compare between those device,please be fair. how do you compare mp3 audio quality reproduction on earphones from nokia and e398 ? which is best ..? great post levent ,it summarize well many things . 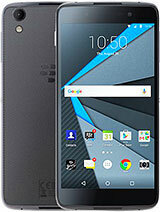 I'm very thorn between 6230 and k700i , the are both very good phones and one offers some speed / good sft. and tiny size while the other offers a very beautiful screen and also user interface ... not an easy choice. the phone is slammin"! i have no words... perfect! I feel sad to see people using hard words attacking each others. What do you get from the particular company? See every brands of phones have it's pro and con, it's depends on individual which one suits you most. There's no company can design a phone that is so perfect and suits everyone needs and requirement. This forum is to share your opinions and review after you have use it for a period but not to exchange words of war. Let's make this forum a place to exchange and help each every users worldwide. Anyway I'm a 6230 owner and I'm in IT line, I personal feel this phone is great but doesn't means others model or brands are not good, it depends which one suits your requirement and that will be your perfect phone. to Dolly, i think you are forgetting something. Yes sony is sony but,Nokia is/have been the world's biggest and best phone company until last year-still most selling as of today-. Nokia produces 99% phones and sony produces so many things. So maybe you could say " oh it's Sony" if you are buying a stereo or T.V. but not when you are buying a phone. Especially, you can't compare it with Nokia. Your comment doesn't make sense anyways. You are comparing 6230 to P900? Then i should compare 9300 or 9500 communicator with k700 but it wouldn't be a fair comparison right?